It was the perfect, drizzly, fall day by the fireside in Seattle when I began to dive into this review for the new Edensong album, Years in the Garden of Years. This is the kind of album you wait for as a prog enthusiast… for years. Every time I get a new album to review, I hope that newer generations are listening to the kind of music which inspired me in my youth. With that music as inspiration, the hope is that they will recreate the magic of that era, only anew. Though many have tried, most of what you hear is an attempt to copy or sound like bands from the past. However, Edensong has created an album that I think you could put together with some of the greats of the ’60s and ’70s, and it would fit comfortably. The last album which captured my ears and heart as thoroughly as this was Midlake’s The Courage of Others. Now Edensong have created something very similar in magnitude, as if the band gathered all of their ideas together, locked themselves in a studio and then tried to pick the best elements of what to keep, the multiple time signature changes seeming to fit a culture of wanting to get it all in, despite time and space constraints. Edensong, from Middletown, Connecticut, are an orchestral progressive rock band who formed back in 2004. The band comprises super talented musicians James Byron Schoen on guitars and vocals, drummer Tony Waldman, keyboardist Stefan Paolini, Barry Seroff on flute and bassist TD Towers, all but Seroff supplying additional vocals. Their 2008 debut album, The Fruit Fallen (now on the top of my “wish list”), and their festival performances have received great critical acclaim from the exacting progressive media. I am from the late Baby Boom generation and we have our favorites, like Genesis, ELP, Pink Floyd, Yes, and others. However, can we really compare them to Wagner, Tchaikovsky, Beethoven, Mozart, Puccini, etc.? The Masters. Would that be fair? Would it even be appropriate, despite the fact that many of the bands described above begged that comparison? So, in the same vein of reason, is it fair to compare Edensong or any new band to those of the Golden Age of Prog? If you come to Edensong’s music with a fresh perspective, which I know is truly impossible for someone of my generation, you can begin to appreciate what they have accomplished with this great work of art. Try to imagine that you are a young person hearing this music for the first time. My first exposure to progressive rock was Genesis’ Foxtrot, a wonderful place to start and still my favorite album of all time. Now try to put yourself in that frame of mind, hearing Years in the Garden of Years with “fresh” ears. If you can you may feel the same exhilaration that you have felt in the past as there are many hints to a time when bands used to put effort into creating something that would last forever, and simultaneously set them apart from their peers. In this music you can hear Jethro Tull’s flute, drums and Mellotron from ELP or King Crimson, the piano, acoustic guitar, keyboards and melodies of Genesis and Kansas’ violin, all set in new combinations and augmented with some Dream Theater–like soundscapes that update the sound. This is one of the most complete albums I have heard in years, symphonic and filled with deep, and at times inspiring, lyrics. Classic instruments and sounds mixed well with modern technology and imagery, everything I have been waiting years to hear, beautifully composed in one album. I defy you to find fault. I really tried, but they just covered the lush cake with home recipe cream for your enjoyment so put on the headphones and imagine you are listening to this kind of music for the first time, all over again. Father are my thoughts all wrong? Seroff brings some excellent flute, reminiscent of Ian Anderson, whilst the guitars, drums and surrounding soundscape, complete with standing bass, fill your ears with the cold hard realities of life on the streets, in what the video clearly portrays as NYC. This is a great example of Edensong’s skill of matching powerful lyrics with equally powerful musicianship. The opening bell…a call for change? 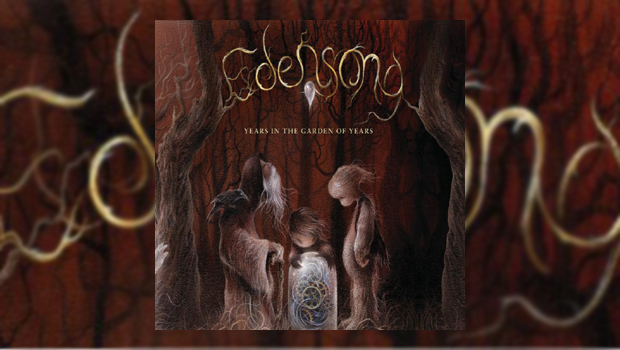 On their website Edensong light-heartedly describe Years in the Garden of Years as the ‘Never-ending Album’, which, with its long instrumental moments, it may seem, but that is what prog lovers want. We want those long interludes of flute, bass, drums, violin, acoustic guitar and Mellotron to last forever. How did we miss the Sun on its West bound rise? 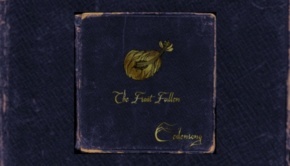 The Hollowed contains a quick snippet of keys which made my mind drift back to the dreamscape that is Smashing Pumpkins’ Cupid De Locke, whilst the acoustic guitar work, piano, violins, orchestration and bass will take you to another place. The bell keys and drum duel on Chronos, as well as some of the quieter moments, should take you back to The Court of the Crimson King. The Atman Apocalypse opens like a movement from an Anthony Arjen Luccasen epic, full of powerful drums, flute, and orchestration as Schoen sings, “I could have stood on the shoulders of giants…I could have had a seat at their table.” Well guys, look down…you are already there. Welcome. Regenerations may be the best track, full of depth with flute and acoustic guitar mixed well with piano and bass. The lyrics remind of Foxtrot and other epic albums which have tried to describe life and how humanity has shaped it. The lyrics throughout the album are impressive, but reach a zenith here. James Byron Schoen’s vocals are not comparable to any of the bands mentioned earlier, in fact they may be closer to the vocals of fellow “East Coasters” John and Tom Galgano of IZZ. Each track on Years in the Garden of Years should be heard by every progressive rock fan that has enjoyed the music I spoke of earlier and has been dying to hear something new from that same inspirational provenance. This is required listening! You can thank them later. 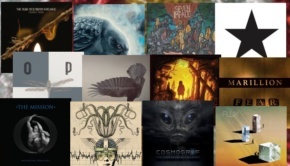 From beginning to end, including the cover art, one of the best albums in years. They didn’t miss any details and I am so happy and fortunate to have heard about it. I have heard nothing better all year and with only two and a half months left, I have a feeling this will be my favorite prog album of 2016.